Lovely slim silhouette dress with distinctive styling. 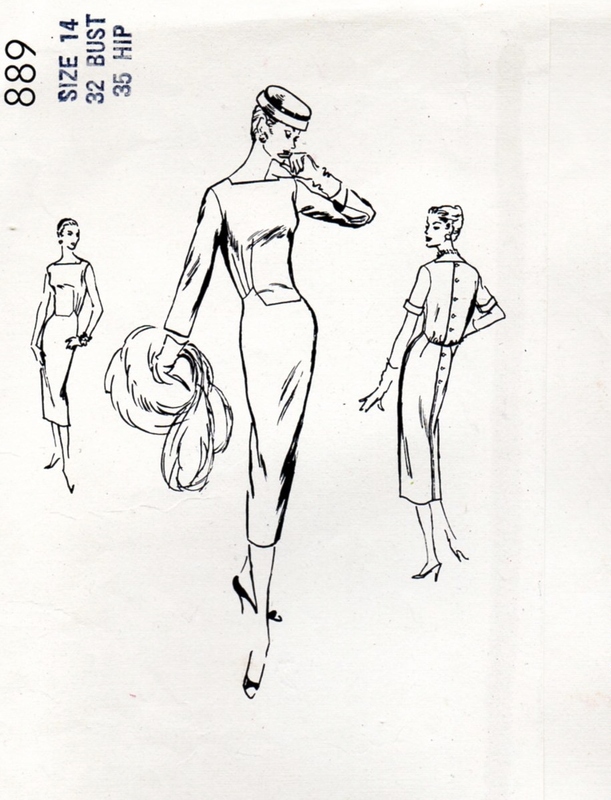 Slim skirt joins the elongated blouse and there is a lap seam below the buttoned back closing. High square front and back neckline. Below elbow length sleeves, short sleeves with cuffs or sleeveless. a few of the pattern pieces; they are also complete and usable. 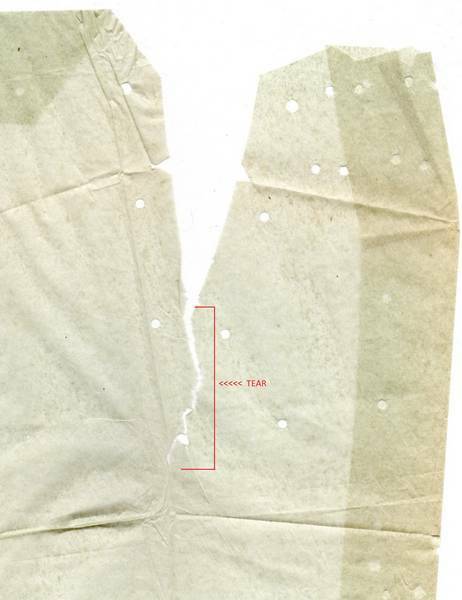 Linen finish envelope is in very good, solid condition; one dime-size, light spot on front and one speck size spot.